Here’s how it’s done. The process is simple. People say this all the time, but many of those same people stop short of taking action. Maybe they don’t know who to talk to or what to say. They might not even know how to talk about what they do. Don’t be like them. Develop a system to regularly and systematically build relationships. Learn how to talk about your work in ways that people will understand. Turn those relationships into referrals. I think we can all agree that if everyone in the world knew who you were and what you were good at, you’d be booked solid. If you had a million bucks you could afford a media buy-out, but I wouldn’t recommend it. Building your network slowly and intentionally will give you much needed insight into your place in the industry. Most sound engineers are just waiting for the phone to ring. Don’t do that. By building relationships and asking for referrals you are generating an unlimited supply of opportunities. If you are doing the first two steps well then you are staying top of mind with potential cleints and referral sources. But if they are not hiring you and referring you, that’s a problem. New audio professionals on the scene have so much optimism and enthusiasm, but that can quickly turn to panic, fear, frustration, and burnout when they begin to understand the realities of running their own business. You are not following up. Sending out your resume once a year is not good enough! You don’t know how to talk about what you do. “I’m up for anything” is the quickest way to nothing. You are unclear about audio industry demand in your city. There is always a need for audio. Find it. If you are great at your job, but people forget about you immediately, you’ll have a hard time moving forward. Even if one client hires you again, they won’t remark about you to other people, which is what you really need to grow your business. One of the keys to being a successful freelancer is finding an abundance of opportunities to distinguish yourself. This can be difficult in audio when we are the ones in the control room, backstage, and in the dark at FOH. In fact, having a successful event usually means that nobody knows we are there at all. But there are ways that you can be remarkable and still do a great job. 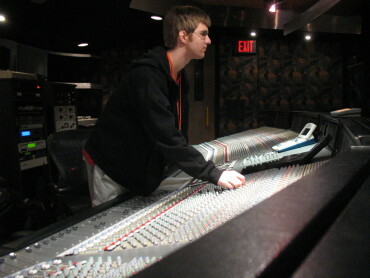 What does a remarkable sound engineer look like to you? Is it mixing naked or adding sound effects or making the sound check really fun or lifting weights before the show? 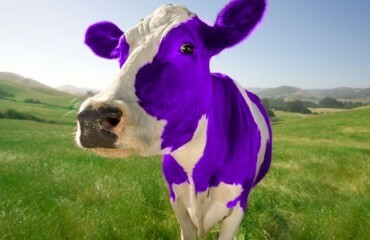 What’s unique about you that you can use to add value to your service? Your skills, your sense of humor, your values? Focus on being remarkable instead of great. What are your personal super powers? How can you bring surprise, delight, shock, and awe to your work in an authentic way that would make it impossible for people not to talk about you afterward? Most of my personal examples are subtle. A Portuguese band started hiring me because I was the first engineer to let them do crazy things with microphones. I said Yes where others said No. A San Francisco sound designer referred me for great gigs because I was the only one who asked for them. A concert producer hired me because he liked my wireless mix system. The first one was a coincidence, but the second two were planned. Try to get an outside opinion to help you generate some ideas. For the price of lunch you can set up a market research interview with someone who is in charge of hiring people exactly like you. If you’d like to get my opinion on your business and what you can do to be remarkable, sign up for my 30-minute Get Booked Solid in Pro Audio one-on-one strategy session. Identify the key relationships that you need to get the best gigs. Uncover the communication breakdown that is sabotaging your success. Create a next-step action plan. 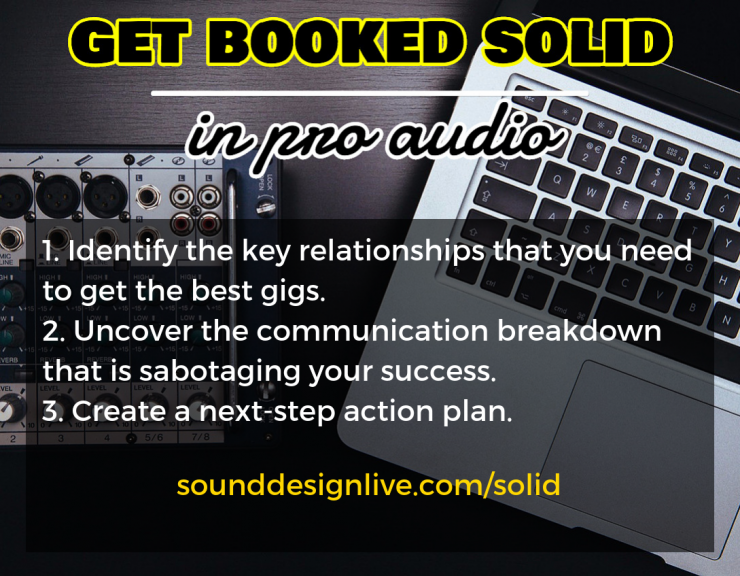 If you’d like to take advantage of this very special 30-minute Get Booked Solid in Pro Audio private workshop, sign up now. Do You Have A Clear Path To Pro Audio?